macaroni & cheese: Male Pattern Boldness is having a sew along! Male Pattern Boldness is having a sew along! and I'm so excited! I added his button, over there. >>>>> on the side. See it? Here's his blog! Debbie Cook, over at Stitches & Seams is doing it, too. I'm SO excited!! They've already given tons of info on shirt making that I'm sure to use. 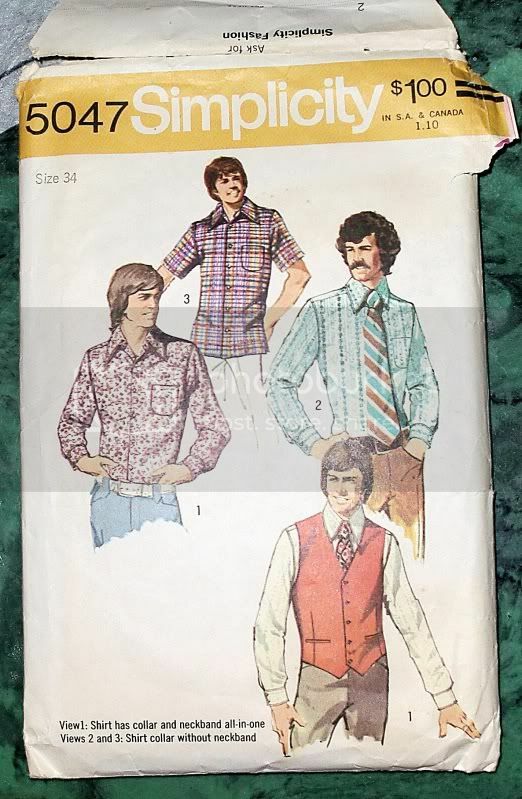 This is the pattern I'm using for the sew along, a c. 1972 Simplicity shirt pattern. It has two collar variations, two hem variations, and two sleeve variations. The sleeve placket is narrow, but the cuff is wide with two buttons! I'm pretty pumped. I haven't scanned this one, or recorded it in on my spreadsheet...I just bought this the estate sale where I bought my Lutterloh system. Here's the back. I was so excited to see a pattern in my husband's size. I did compare it to the pattern I usually use and it's the same size. The sleeve seems to have less ease, but aside from that it's a very similar fit. 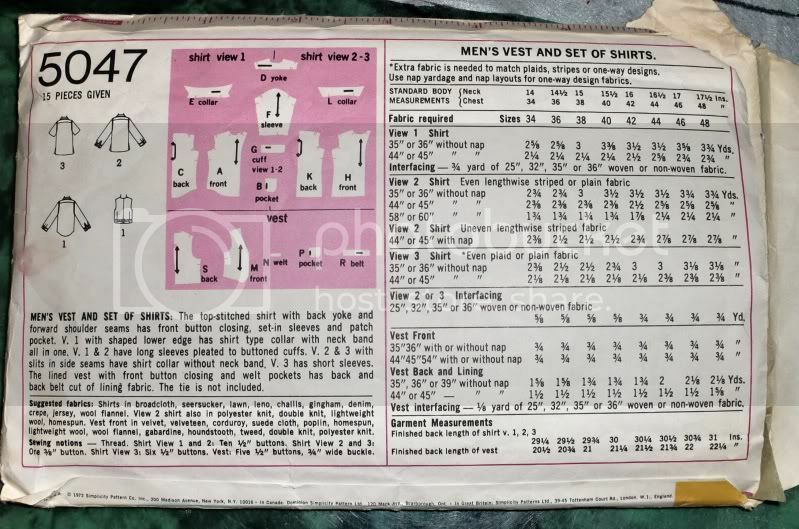 What's funny is that I usually use the Kwik Sew shirt's size S, but then make the shirt M in sleeve and front/back length. The Simplicity pattern didn't require lengthening. Not EVERYTHING was the same size as the Kwik Sew I usually use: the collar was pretty different, and Doug preferred that I use the Kwik Sew collar on this shirt, rather than the one the Simplicity pattern came with. Ha ha! Can you believe the size of that collar? Amazing!! So, for this pattern I'm going to use the KS collar with a stand. Here it is all traced and ready to go! 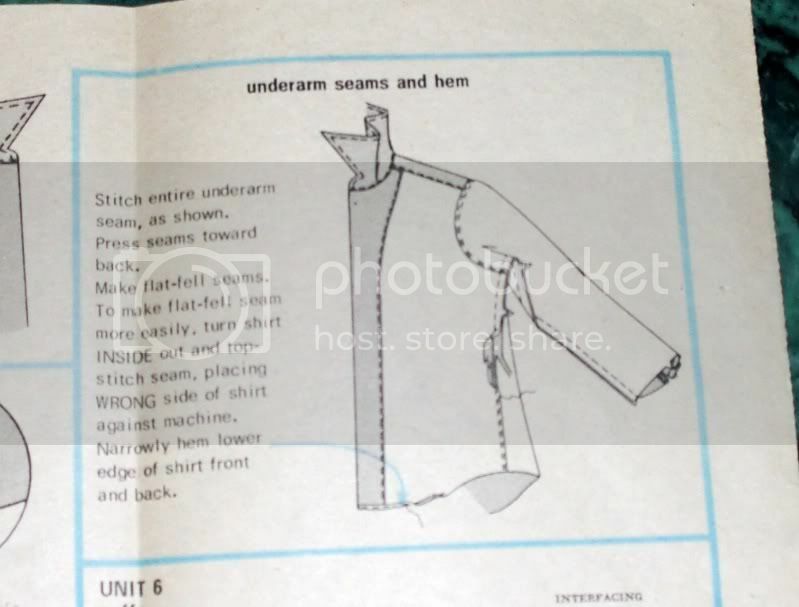 I ironed all the pattern pieces, as they had been folded REALLY small (40 years ago) before they were put back in the envelope. All of the pieces were there, tho! 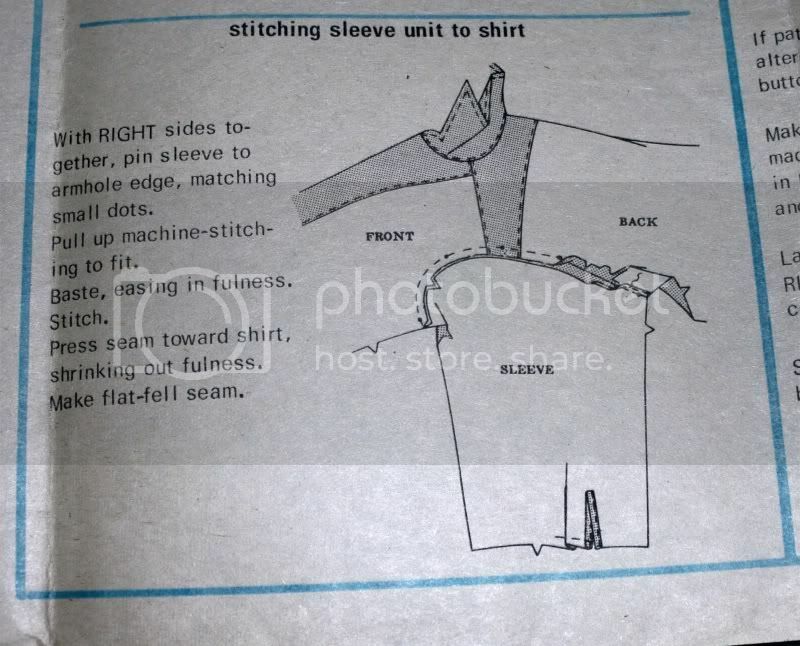 on this illustration you can also see the simple, shallow placket on the sleeve. 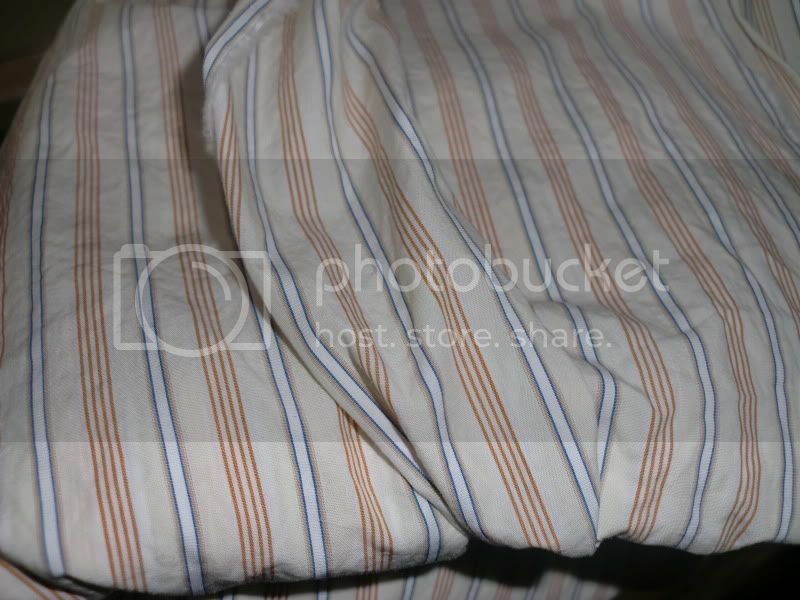 And, here's the fabric I'm using: an Italian shirting from Golden D'or. I've had this a while but I'm cutting into for this project! So exciting! That's it, so far! I'm very excited and can't wait to read more tips from my favorite bloggers. I love to read your comments, so leave them here! I bet Peter would wear that collar. 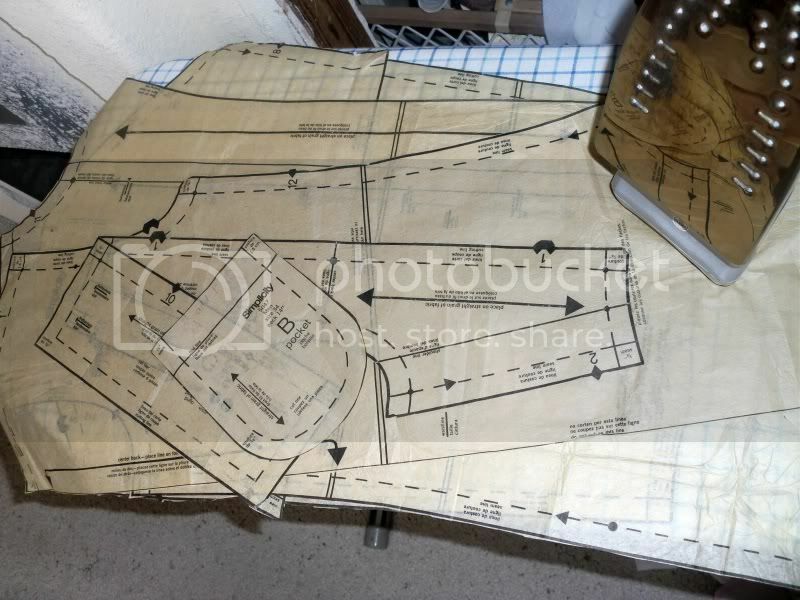 ;-) And I'm lazy and not doing flat-felled seams. Hopefully, Michael won't mind. Ha, Debbie, I bet you're right! And, Peter would OWN that collar! Doug, not so much. ;) I probably will not do flat-felled seams, especially on the shoulder! I was excited to see it suggested, tho.